Anthrax are premiering a lyric video for “Evil Twin”, the lead track from their forthcoming album. "Let's forget for a moment the history of radical extremism and why we live in a world where it exists and just think about now," guitarist Scott Ian tells Rolling Stone. "That's what 'Evil Twin' is about. It's my relationship to the violence perpetrated by radical extremists. It's my anger towards it and it's my hatred towards the inability to stop it." 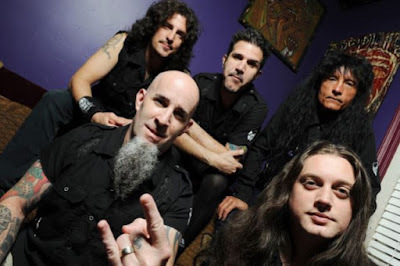 Anthrax have been in the studio much of this year working on the release, which marks the debut of former Shadows Fall lead guitarist Jon Donais, who replaced Rob Caggiano following his departure in 2013.